Last Saturday’s Sepia Saturday 242 theme was fans, costumes etc in which host and coordinator Alan amused with his comments:I have never been a fan of fans. Whether they are slats of painted paper or those large metallic jobs that whirr around and threaten to lift your hairpiece into space, I would never volunteer to act as secretary of their fan club. Some of the fans I’ve inherited or been given. Unlike Alan I live in the tropics where overhead fans are a necessary feature of our homes and any sudden absence of power makes you notice they’ve come to a silent standstill. 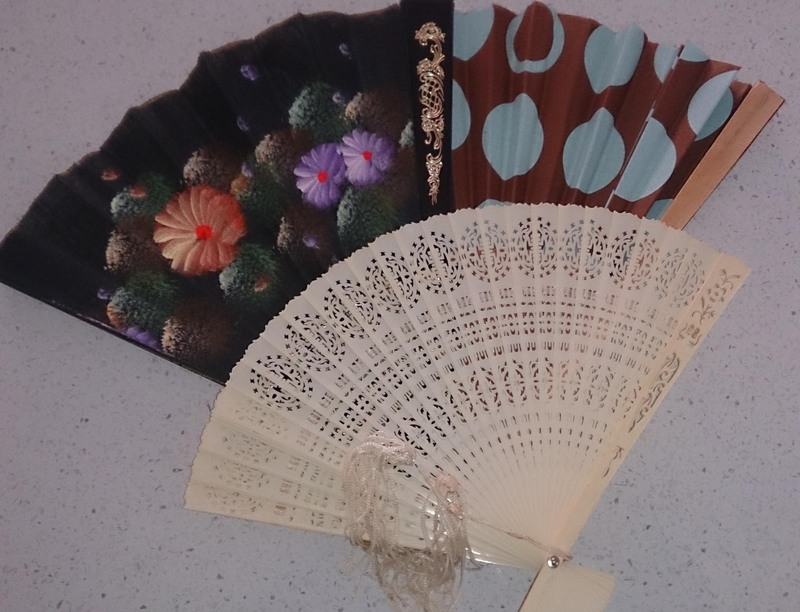 When the humidity builds any hand-held fan works to combat the heat…beautiful hand-held ones or just a piece of paper. So I’m a fan of fans indeed. 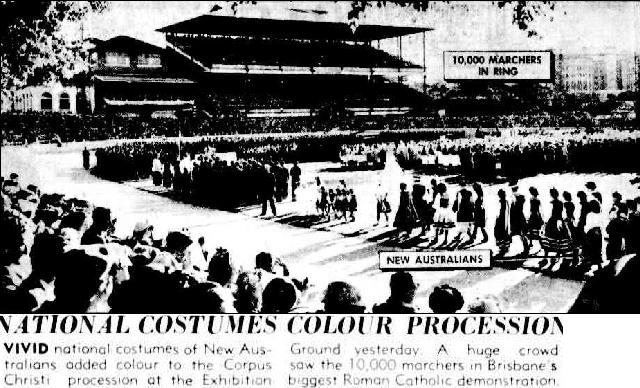 I’m also a fan of national costumes having grown up in Brisbane with the influx of post-war migration. The annual Corpus Christi procession would see Catholics from various nations from Poland to Yugoslavia wearing their national dress proudly. Being a serious religious event I have no photos from those days. However, today I want to share with you an unexpected event we encountered on our first youthful trip to Europe. 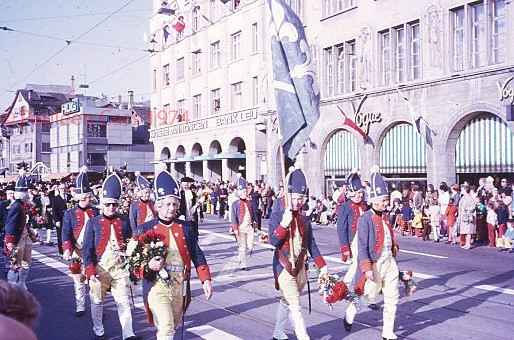 We had arrived in Zurich as a natural progression in our “grand tour” and by pure chance, came across their end of winter parade in which the various guilds wore traditional dress. It was an amazing experience seeing these centuries-old traditions still in play. 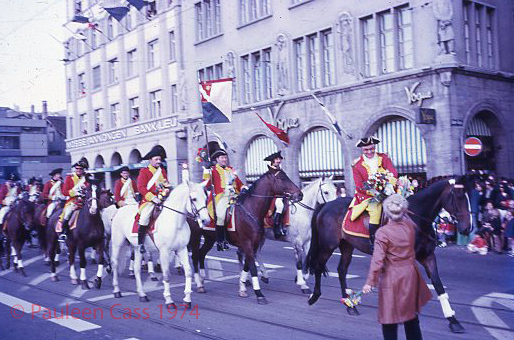 It was equally amazing to hear some young women backpackers, backs to the parade, bemoaning the boredom of Zurich! As people marched through the streets, family or friends would dash over to present them with bunches of flowers. An Aussie male in those days wouldn’t be seen dead carrying flowers but these men carried their floral gifts with aplomb. Let me share this procession with you as a slide show – after all that’s the traditional way of sharing photos from a holiday. After the parade everyone made their way to a nearby park where an artificial snowman was ceremoniously burned to symbolise the end of winter. I still have the little snowman pin which I got there ….or was I given it? Mr Cassmob made friends somehow with three men from one of the guilds (blacksmiths, perhaps?) who shared their drink with him. Altogether it is such a great memory of our early life together and the grand adventure of our first, but not as anticipated our last, trip to Europe. 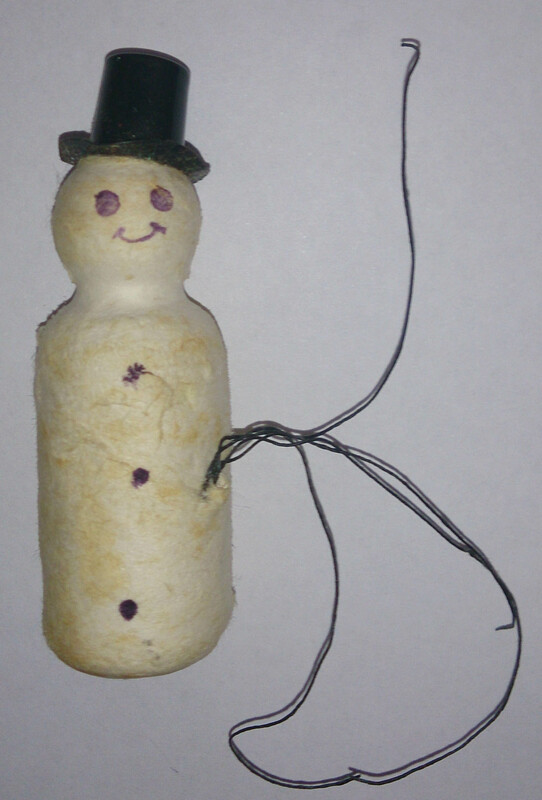 The internet tells me this festival still exists and is called the Sechseläuten festival and and the snowman is called the Böögg. It is normally held on the third Sunday and Monday in April, so if you’re planning to be in Switzerland in April sometime why not add it to your to-see list. Why not pop over to the Sepia Saturday site to see whether others are fans of fans or costumes. This entry was posted in Brisbane, Cass family history, Sepia Saturday, Travel and tagged Sepia Saturday, travel, Zurich procession by cassmob. Bookmark the permalink. Here in Sweden we have also have a celebration tradition for the end of winter (and if you have lived through a Swedish winter you understand why). 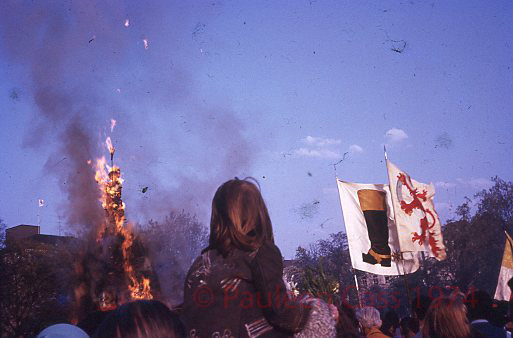 It is called Valborg, or Valborgsmässoafton, and though there is no marching (that happens the next day on May 1), and traditional dress is saved until midsummer, there are bonfires and singing and speeches and fireworks. It is usually cold, this year there was freezing rain, sometimes it snows, but we celebrate every year, whatever the weather. Thanks for commenting David. I can understand why but not fully, not having lived full-time in a Swedish winter 😉 Isn’t it interesting that this type of celebration occurs across Europe. (I guess the marching on 1 May is about Labour Day). I love the slideshow Pauleen. That would have been an impressive parade to watch. Thanks Kerryn..yes it was such a “find” and such a change from Oz.